Jordan Fisher has been cast as John Ambrose in 'To All the Boys I've Loved Before' which is coming back with a sequel replacing Jordan Burtchett and fans are having quiet mixed feelings. 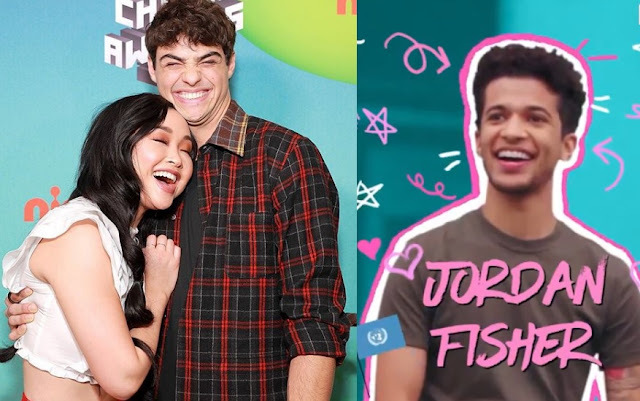 American singer, dancer and an actor all in one Jordan Fisher, 24 will the newest member who will be joining the hit Netflix romantic movie 'To All the Boys I've Loved Before' in their second installation of the movie giving quiet a competition to Noah Contineo. The cast member of the 'TALBILB' Lana Condor, Noah Contineo and even newest Jordan Fisher shared a sweet video where Lana was giving a visit to the van of the newest member of the movie which happened to be Jordan with the warmest welcome in the movie family. Jordan joining the cast of 'TALBILB' is quiet a shock as the role of John Ambrose was played by Jordan Burtchettt in the first movie but now he has been replaced for the new installation. Jordan's role is quiet important in the movie as lead actress 'Lara Jean' played by Lana Condor had previously sent 5 love letters to which she had already received 4 people's response and even has a successful relationship in the end with one of them which is 'Peter Covinski' played by Noah Contineo. Here comes Jordan the final fifth one responding to the letter and visiting Condor house with flowers in his hands. He is sure to give quiet a competition to Noah but we got to see if Noah still can win Lana heart in the sequel of the movie. There has been quiet a mixed review for the cast replacement where some still missed Jordan Burtchett and were sad by the news whereas some were quiet excited about the news and more than excited to watch the movie. We wish good luck for the whole cast members for the massive success of the sequel as well.